Hours of fun to be had rattling around. 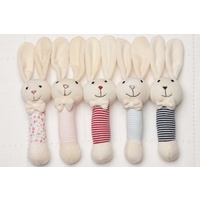 Made from soft jersey and velour fabric, and easy to grip, ideal for little hands. March back with our extensive range of clothing and accessories to complete the look or gift.